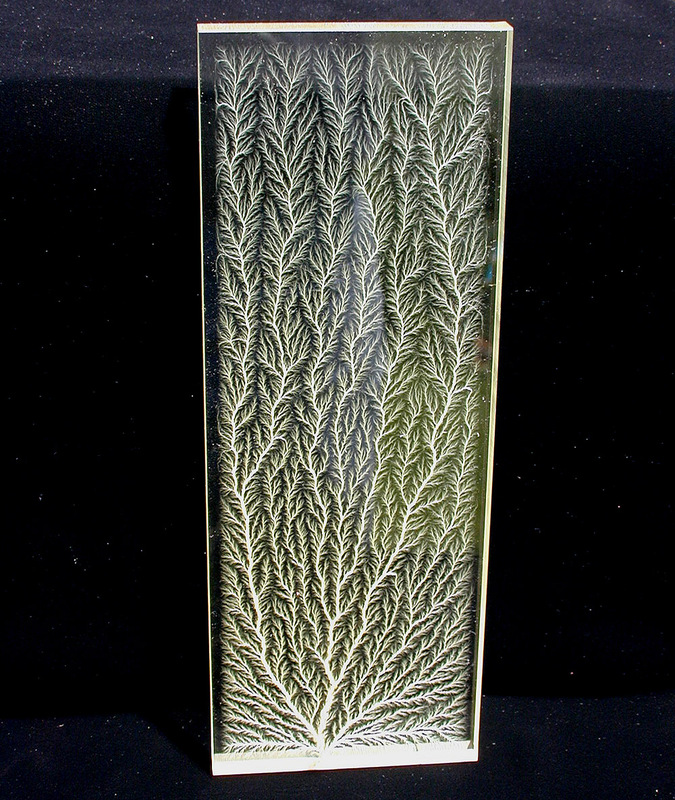 for Rare and Beautiful Lichtenberg Figures! Style 21A - 4" x 12" x 1/2"
These unique specimens have a unique height:length ratio. Their impressive size provides excellent value for the price. We started with carefully cut and polished pieces of 1/2" thick acrylic and carefully irradiate them until fully charged. They are then carefully discharged from an edge or the center to create a beautiful 2D branching sculpture. They can also be laser-engraved or a plaque added to the light base to create a special award or illuminated nameplate. 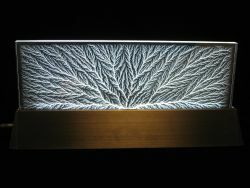 Because we injected a high level of charge (energy) into these specimens, some edge-triggered sculptures will have a small (1/4" or so) fracture at the point where the discharge exits the edge of the sculpture. This is fully hidden when the sculpture is inserted into one of our lighted bases. Discharges in some specimens may not fully extend to the opposite end or fill all corners. 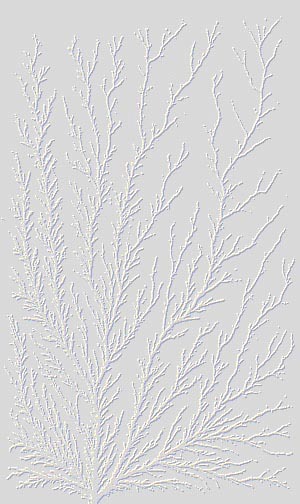 Specimens with mixed dendritic/chaotic discharges have self-discharged and the root(s) of the discharge may be located anywhere within the interior or along any edge. 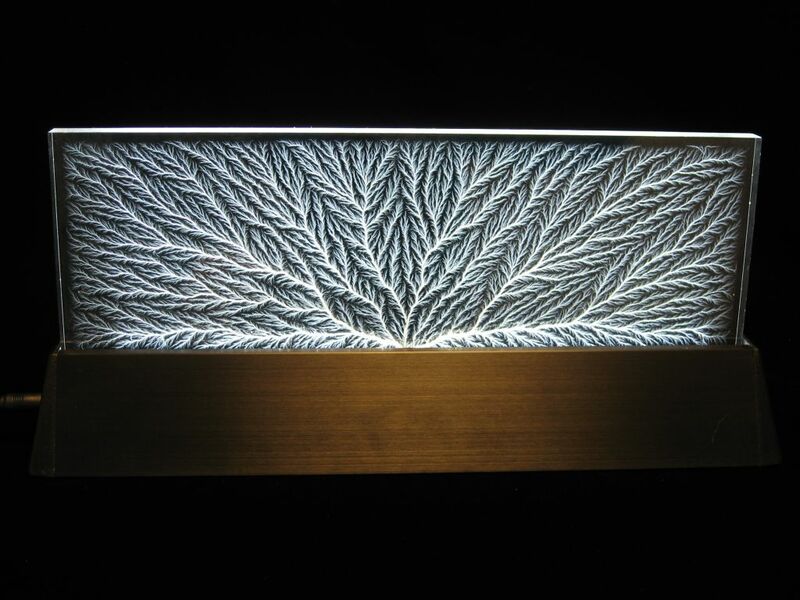 When illuminated by our GAB1212L light base (12" wide, Black Anodized Aluminum, with white LED's), every intricate branch and tip glows brilliantly from within, highlighting the incredible detail of the internal fractal discharges. 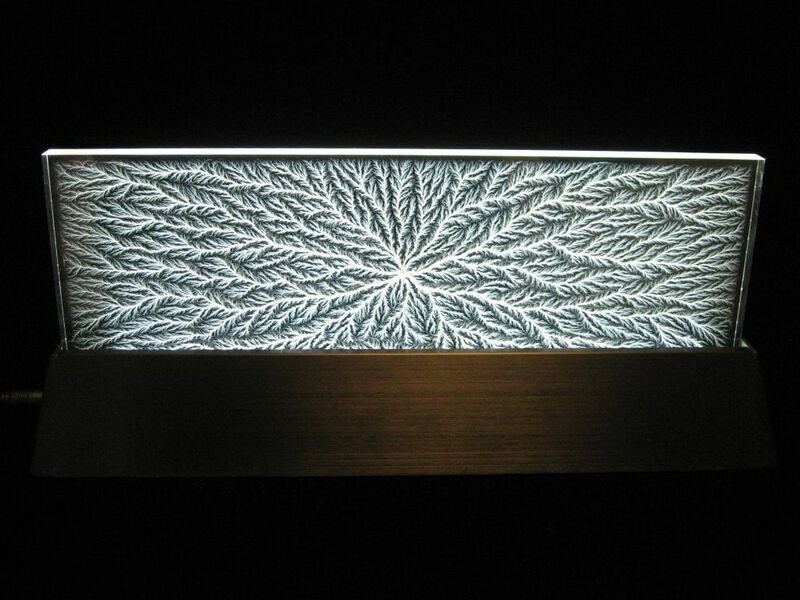 Laser crystal art can't begin to match the exquisite detail and intricate complexity of the thousands of discharges inside these specimens. The actual pattern will vary from specimen to specimen. Your satisfaction is fully guaranteed. black anodized aluminum light base with white LED's. Discharges may not extend to ends in some sculptures. Discharge location may not be in center on some sculptures. 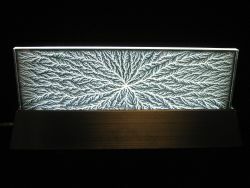 Vertical Edge Discharge shown in natural light. Discharges on some sculptures may not extend to far end. This site is copyrighted, 1999-2018. All rights reserved. No portion of this page may be reproduced without written consent from the author.